I know this is not a “green” topic, but it does strike a chord with me, for two reasons. Many years ago I was a “risk analyst” at a screening company that processed apartment applications. I screened applications for hundreds of apartment communities and the company had clients in several states. When I first started in that particular niche, I was my happy-go-lucky trusting self. Eventually I involved into a savvy screener whose new attitude when processing applications was “you’re lying until I discover you aren’t.” I was a very good screener, and the clients loved me – they would even have applications held if I was out, only trusting me to process them. The company wasn’t as happy with me, tho, because I held applications to verify references, rather than making the required “two attempts” 30 seconds apart and marking the particular item “unverifiable” shrugging my shoulders and just closing out and making a recommendation regarding the application based on less information than was possible given a few more hours. This was a production environment, and the company unfortunately focused on quantity, not quality. But they guaranteed their recommendations, so there was no financial loss to the client should they make a bad recommendation. Recently I also was working on a relocation project for the Port of Seattle for a bunch of homes and apartments that are being purchased as a result of the opening of the Third Runway at SeaTac. The new runway lines up with these homes and apartments, and the noise is going to be unbearable to people living in this area. In preparation for relocating tenants in houses and also apartments, I toured rental properties for months, amassing enough data to be able to determine market rates for all sorts of properties. The apartments have it together, most are corporately owned and managed like an investment profit center. But many individual home owners are new to the landlord biz, since they really wanted to sell their house but couldn’t, and decided to rent it out instead. I can’t tell you how many people I have coached on the proper rental screening process, trying to impress upon each of them how this was the most important thing to do, and to hire a professional firm to screen the application for them. The applicant pays for the service with their application fee. I think you can afford a couple of days’ lost rent to rule out the tenants who are going to skip out owing rent, or totally trash the house, costing the owner thousands of dollars to fix it back up to rent it again. You homeowners who are getting into the landlord business can’t afford to replace doors and patch walls and put in new carpets over and over again and still charge a competitive rent. It’s a lot of work, a lot of money, and face it, your former home is more than just a financial investment – if you lived there you have some emotional investment as well, and you are going to be upset and hurt when someone comes in and disrespects your property in that manner. Someone out there in the world has written a book about this very subject. 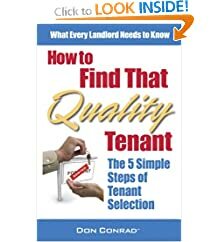 Realty Times has an excerpt of an interview with Don Conrad, investor and author of “How to Find That Quality Tenant.” and you can read it here. You can listen to, or download the show archive MP3, here. The goal of the book is to give people a basic roadmap of the tenant selection process, a separate skill from just managing or investing. Most people don’t respect it. While you might be able to buy a property in a couple of days or a couple of weeks or a couple of months, you have to deal with that property for years. By selecting the right person upfront everything that happens is so much easier to handle. The tenant selection process is the most important skill, bar none, a real estate investor will need for the next five or 10 years. You just might thank me someday for straying from “green living” to discussing something important about the increasingly scarce “greenback”. I am not a landlord, but I have met and talked with hundreds, and if this keeps you from experiencing a setback as a result of a bad tenant, I have done my job. There was an article in Realty Times yesterday that also gives some good information and steps to follow if you decide to rent out your home. Read Can’t Sell Your Home? Why Not Rent it? You may have heard the term “genetically modified” used negatively but still wonder what the big hoopla is about. After all, genetically engineered corn still looks and tastes like corn. Expert Beth Harrison, PhD, author of Shedding Light on Genetically Engineered Food explains why we should be more concerned about eating foods with tampered genes. Get on your eco-duds, then head to Ecohaus’s Green Halloween party for some healthy Halloween ideas, hands-on activities and healthy snacks. Kids will get to meet “insulation man,” who I imagine dates “duct girl.” Prizes will be awarded for the most eco-friendly costumes. Sat., Oct. 18, noon-3 p.m., at Ecohaus, 4121 First Ave. S. Free. On the scary Halloween night, you’ll probably find us and my little Italian greyhound, Sophia (sporting her orange jack-o-lantern sweatshirt, complete with green stem on the hood) at Skeleton Theater on October 31st. We’ve gone for the past two years they have done this, and they say this year it will be one 20 minute show instead of clips. You should check it out if you are in the area!! It is pretty amazing what a couple of guys and creative genius can create. I received an email that there are only 5 spots left for a unique class taking place at the Center for Urban Hortoculture at UW. I wish I was a better artist!! Maybe you might be interested in this unique opportunity. Sunday, October 19, 8:30 a.m. – 4 p.m.
Have you ever wished you could capture on paper what occurs in the world around you? Join wildlife biologist and watercolorist Heather A. Wallis Murphy for a fast-paced, fun class that explores the art and science of field observation. Whether you’re a writer, scientist, birder, artist, or nature lover, this is the class for you. 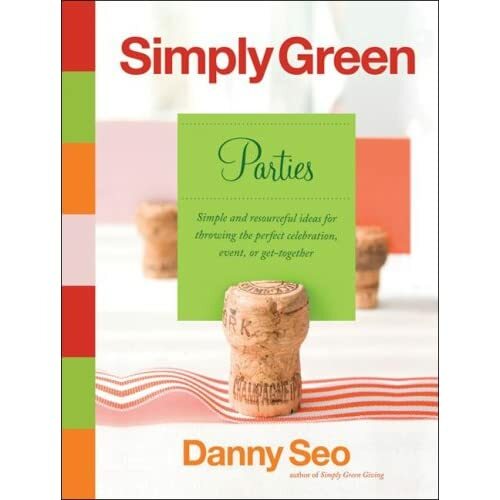 Participants will connect with the environment by recording small details of the natural world in pen and ink, pencil, and either watercolor or color pencil. For details, journal examples, and a list of class materials, visit http://www.wildtales.com/pages/events.html. Space is going fast – please call 206-685-8033 or email jrobins@u.washington.edu today! Closing up our houses for fall and winter could lead to greater indoor air pollution problems. Gear up with an efficient vacuum to keep allergens and pollutants to a minimum. Read Nat Geo’s Green Guide to Vacuum Cleaners. Cost: $15 advance registration required. No walk-ups accepted. Register online or call the SAF office at 206.667.9184. Seattle Architecture Foundation is partnering with Weber Thompson to present The Terry Thomas: An Elegant, Environmentally-Correct Approach to Design, a one-hour guided tour. The Terry Thomas is a highly sustainable, commercial building located in the South Lake Union neighborhood. Wrapped in windows, it is a building designed along a modern aesthetic with a combination of time-tested strategies from the pre-HVAC era and complimentary new technologies. Led by Weber Thompson Principals Scott Thompson AIA, LEED AP and Peter David Greaves AIA, LEED AP, this tour explains how the project reduces its carbon footprint, the workings of the passive cooling system, strategies employed to reduce water usage by 50% and energy usage by 30% and how the building has met its original vision of thoughtful sustainable design and a workplace that contributes to the occupant’s well-being, satisfaction and productivity. It is Seattle’s first commercial office structure developed in decades without central air conditioning and is a working demonstration of the possibilities of sustainable design. The building is attempting is a U.S. Green Building Council Leadership in Energy and Environmental Design (LEED) Gold certification and the Weber Thompson tenant improvement is attempting LEED CI Platinum certification. The project is purposefully located near transit and a future pedestrian corridor, building on civic amenities and encouraging employees to get out of their cars and walk, cycle or bus. The former building—a 1920s vintage light industrial warehouse—was used as a practice space for one of Seattle’s defining bands, Pearl Jam. Most of the existing, two-story building was salvaged for any reusable building materials and components, especially the existing brick and heavy timber (a few bricks were squirreled away by adoring grunge fans). Rafn Company recycled 93% of materials during demolition and 94% of the construction waste. Seattle Architecture Foundation is proud to present: Joseph Vance Building: Historic Building, Modern Green Design, a special one-hour look at one of the city’s most innovative building renovations. Spearheaded by nationally known sustainable developer, Jonathan Rose Companies, the renovation of the 14-story Joseph Vance Building not only preserves the character of the historic building (designed by Victor Voorhees and constructed in 1929), but makes environmentally conscious improvements to increase energy efficiency and create a sustainable and healthy workplace. The renovation is a U.S. Green Building Council Leadership in Energy and Environmental Design (LEED) for Existing Buildings (EB)® and ENERGY STAR® registered project. On hand to discuss the specifics of the project will be Zimmer Gunsul Frasca Architects LLP staff including: Don Miles, FAIA, LEED AP Principal, Naomi Cole, LEED AP Sustainability Coordinator, and Criss Fournier, Senior Interior Designer and Peter Alspach, PE Mechanical Engineer, ARUP and a representative from Representative from GVA Kidder Mathews’. Elements of the project include restoring the building’s terra cotta façade, original ceilings, terrazzo floors, and operable windows, and updating the facility using sustainable materials, systems, and fixtures. Custom window shades and light shelves help preserve energy and maximize natural light while controlling heat gain and glare. The design of a highly sustainable, 800 square foot Property Management Office incorporates elegant and simple ‘green’ elements including a conference table custom built from local, reclaimed trees; cabinetry using plyboo made from bamboo; and a natural color palette using environmentally friendly paints and finishes. This is the 3rd year Sustain Lane has put out a list of “Green Cities”, ranking cities based on policy, innovation, economy and affordability, and even air and water quality. Each city is ranked in 16 categories, which then combine to make up that city’s sustainability level. Seattle’s City Chart is at left. Portland, OR was ranked #1 this year, Seattle ranked #1 in 2006. The study ranks 50 cities. You can read more about the study methodology, learn “What is sustainability?” if this is something that still confuses you (there so much media use of this word, sometimes it can lose meaning altogether), and peruse a LOT of great information about the cities themselves and the ranking categories. A very educational site!